MrsChadT: Are You Making A List and Checking It Twice This Holiday Season? 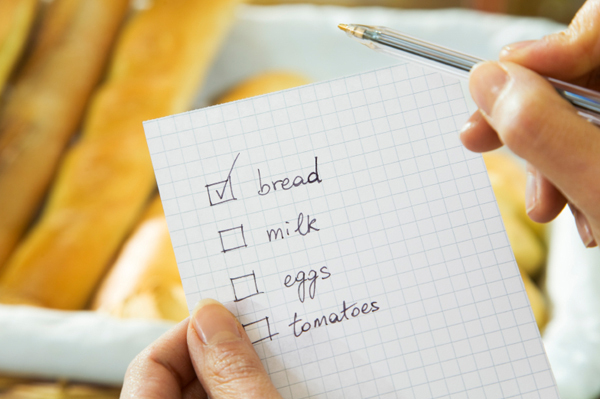 Are You Making A List and Checking It Twice This Holiday Season? Already, they're out. No big surprise with Black Friday only a few days away. Or more importantly, have you written your list, created a shopping strategy, and checked it twice? Let's face it, Black Friday can escalate stress just by saying it's name - Black Friday. The goal is acknowledging what your limits are, how far you will go, and what you plan to do about. If you're planning on getting up with the hussle and bussle of the holiday shopping spree extravaganza along with countless of other people, then you need to have a strategy. We're not talking the maybes and they what ifs. Sit down and list everyone on your Christmas List this year. Who are they? How much do you plan to spend on them? what do they like? What is one thing you know you can afford to buy them out of the like list - circle it. Okay, so you've made your list, now check it again. This time, pulling out all those black Friday fliers. They'll come in Thursday's paper, by email, or by checking online at www.blackfriday.info. Check your list against the sales. Obviously, you can go two places at once. With over crowded malls, pushy people, and long lines, you can't afford to browse every store for what you're looking for. Not only that, by lunch you'll have run out of patience and your anxiety levels will be higher than Santa's flying reindeer. Mark off your list by order of the sales ads. Go only to the stores that have items of interest to you. If some items are door busters offered at different times of the day, then create a plan to go to those stores in order of the time of the offered item. Remember, you're on a mission. Keep checking your list. At anytime you feel too overwhelmed to keep going....stop. That's it. You're done. You can come back to the stores another day or shop online, no big deal. When all else fails choose plan B. Plan B come in handy when the store is all out of an item you went specifically there to get, or an item on your list is harder to find than you thought, and perhaps out of your price range. Don't fret. They say there is more than one way to skin a cat. Thus, the saying goes for holiday shopping. Have a secondary item listed on your list in case you can't find the first. If an item isn't at one store and you're going to another store that sells similar items, check there instead. Ask a friend to go gift hunting with you. Shopping is always more fun with a friend. And, you can wind down while having lunch together. It's hard to make yourself laugh when you're alone. With Thanksgiving just a few days away, as you make your list and check it twice, be thankful for those whose names you've written and feel blessed to be able to share the holidays with those who love and support you.